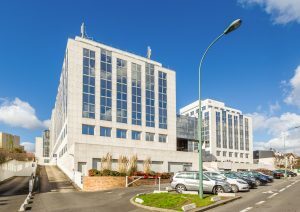 Principal Real Estate Europe has sold Building B in the Arcueil suburb of Paris to TIGRE, the French real estate manager. The purchase price has not been disclosed. Located at 21-35 rue de Stalingrad in the ARCUEIL suburb of Paris, the 6,200 sqm office building is partially let and includes 79 on site car parking spaces. C&C advised Principal Real Estate Europe and STROCK the purchaser, while Alex Bolton and Savills were jointly mandated to advise on the overall transaction.